« Happy Labor Day weekend! Dydacomp, a leading provider of business technology platforms for eCommerce and multichannel merchants, today announced the release of Multichannel Order Manager (M.O.M. 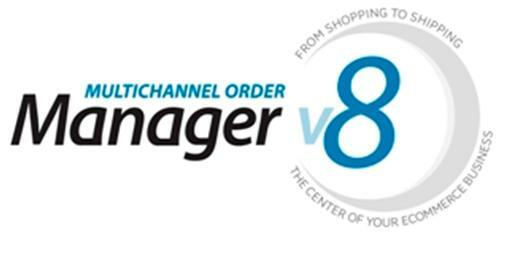 ), Version 8, the only PCI compliant order management solution built for eCommerce, multichannel and distribution businesses. The new release arms small and medium-sized merchants with powerful features that enable them to ensure order authenticity, connect to virtually any eCommerce shopping cart or 3rd party system, protect their bottom line from fraud, customize the system to their unique needs in ways never available to them in earlier releases, and open new sales channels to accelerate revenue growth. M.O.M. Version 8 reflects the strategic changes Dydacomp has made to provide SMBs with the complete solution needed to compete and thrive in the eCommerce marketplace. By incorporating an open API in the release, clients are able to continue using their established eCommerce platforms while integrating a complete order management solution. Merchants who have an established eCommerce store can now easily implement an order processing solution, which is needed to compete with larger online merchants. By offering a built-in connection that meets Amazon‘s 2012 requirements, M.O.M. Version 8 gives clients the ability to reach the company’s 130 million customers. The Amazon feature opens the door for SMBs to easily sell through Amazon Marketplace to increase revenue and brand visibility. Additional features in M.O.M. Version 8 improve customer communications through customizable invoices and paperless invoicing as well as enhance General Ledger exports for accounting systems. “The latest version represents Dydacomp’s commitment to providing solutions that directly address the changing needs of the small to mid-sized multichannel merchant. Clients are able to achieve a significant return on investment, while gaining the tools and functionalities they must have in order to run efficient and effective multichannel businesses that compete with the largest eCommerce retailers in the market,” added Fred. For more information about M.O.M. v8, register for a M.O.M. 8 webinar today. For M.O.M. 6 and below users, register here. This entry was posted on Wednesday, September 7th, 2011 at 3:46 pm	and is filed under Dydacomp News, Ecommerce, Industry News, PCI Compliance, Support, Webinar. You can follow any responses to this entry through the RSS 2.0 feed. You can skip to the end and leave a response. Pinging is currently not allowed.